To win the money game, you have to keep score. Your financial statements are your scorecards. Reading, understanding, and using basic financial statements are difficult but vital skills. This visual step-by-step guide, ?Financial Statements Made Practical?, helps entrepreneurs understand and use their financial reports. We removed the confusion, intimidation, and frustration so you can keep score and win the money game. The need to market and sell one?s products and services is obvious. Without making any sales, there?s no money to manage. If you need to learn about marketing and selling, the available resources are seemingly endless. In contrast, learning to keep more of what you make isn?t as simple. Fewer resources exist and the unfortunate news is that we have found those resources are frequently incomplete, misleading, confusing, impractical, and often inaccurate. By reading this eBook, you?re taking an important step toward understanding practical principles for building a sustainable business that is more profitable and valuable. 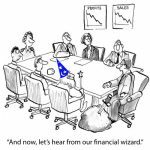 The Smart Business Money Habits self-assessment tool: Identify where you are on the business money mastery learning curve and understand what you need to learn about next. Great, but practically-speaking, how does one do that? The common answer is “better marketing.” But better marketing is only one part?of the equation. Better business money management is the key. However, using financial accounting software is NOT business money?management. Effective business money management means using your financial results to inform and guide business?strategies and decision-making. For entrepreneurs who are starting out, struggling to grow beyond survival, or are already successful?and want to operate more profitably, we created the More Profit Toolkit family, consisting of the Basic?More Profit Toolkit and the Essential More Profit Toolkit. The Basic More Profit Toolkit requires no specific financial acumen, is truly easy to use, is intuitive in?application, is ready to use from day 1, and answers those basic business cash management questions. 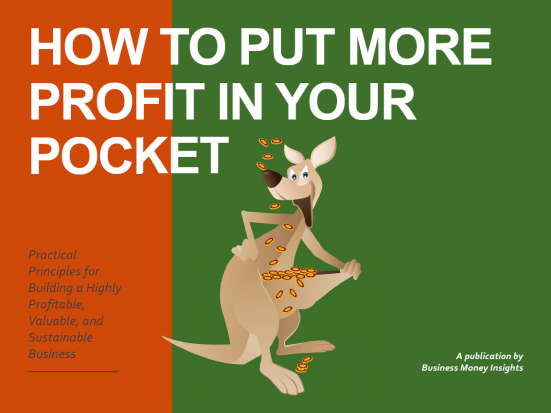 The Essential More Profit Toolkit is for businesses that can benefit from more advanced financial?tracking and guidance. For more details about the More Profit Toolkits, click here. The More Profit in Your Pocket Advisor Training Program: For business advisors who want to directly help their clients to literally put more profit in their pockets, this program trains you in how to teach the Smart Business Money Habits and how to set up and use the More Profit Toolkit with clients. In addition, this program teaches the advisor how to get more clients who would benefit from this level of service and support. The Smart Business Tax Estimator: A powerful, yet easy to use and understand tool that keeps you on track with your quarterly tax estimates. And out of trouble with the IRS!